All Suspenz carts have Aluminum Frames and Stainless Steel hardware so no need to worry about rust. 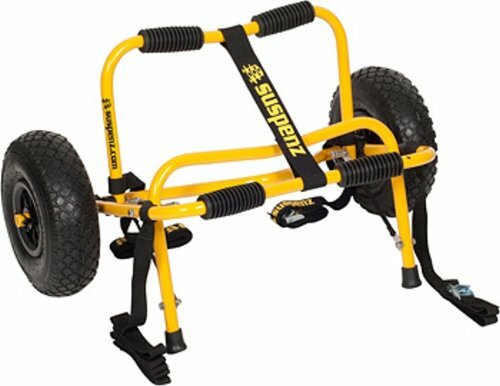 Our Smart Airless DLX Cart has quick release 10” wheels with a new Flat Top tire design to help in soft conditions like sand. We also made the new Flat Top tire Airless so no need to check air pressure and best of all no flats. 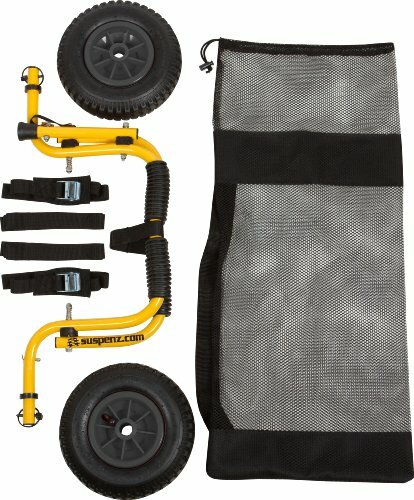 Like all Suspenz carts the DLX Airless comes with a mesh carryingstorage bag. Airless 10" tires, they will never go flat!